Is this a Project Lightning install? 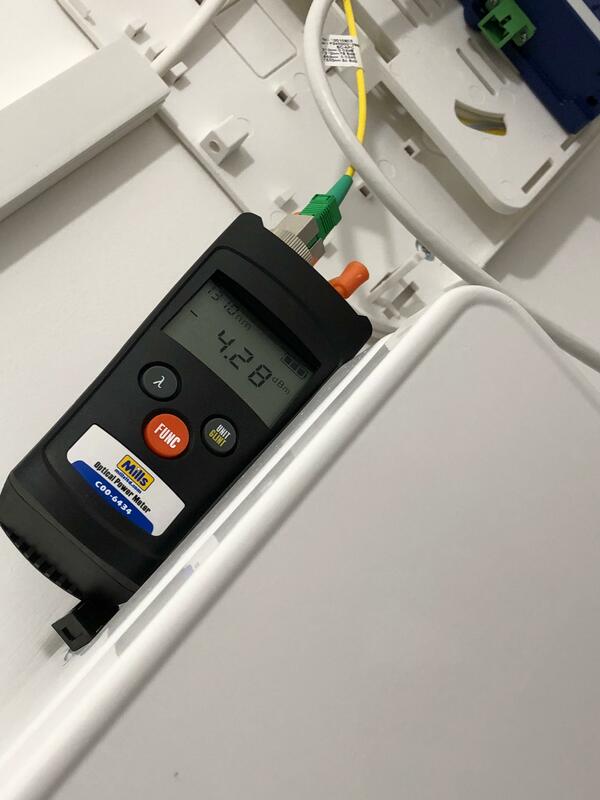 I was assured both by sales livechat and by the installation engineer that my connection would be FTTP (ONT outside, coax through the wall, as documented in various images I found of Lightning installs). But my end result looks a lot like a normal ye olde coax install. In particular I notice there's no extra reverse power cable for an exterior ONT. Unfortunately I didn't take a peek inside the exterior box while it was being worked on. 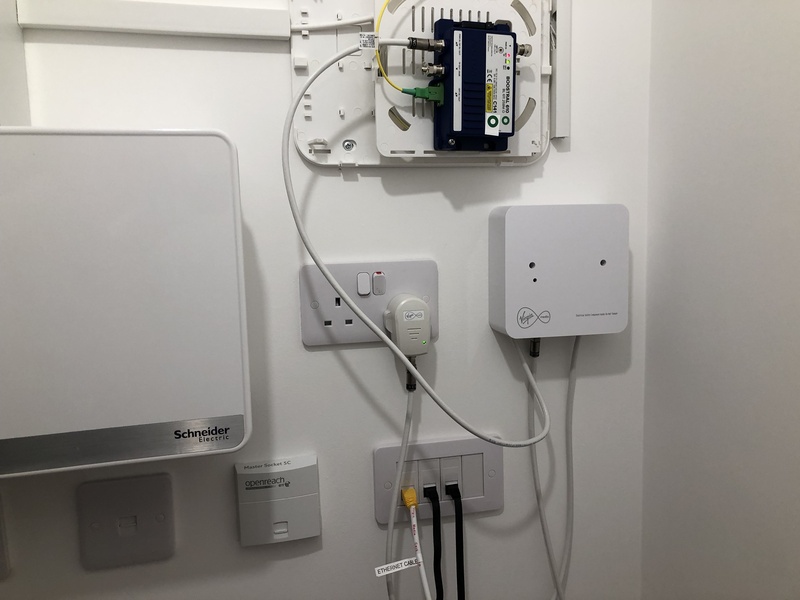 Either Lightning now uses the old-style exterior box with a smaller ONT and gets its reverse power from the Hub... or I was sold FTTP and got HFC. Can anyone confirm? Re: Is this a Project Lightning install? I am sure someone else will correct me. That is a standard HFC coax installation. If that is what network you have in your area, then that is the ONLY installation you will get. 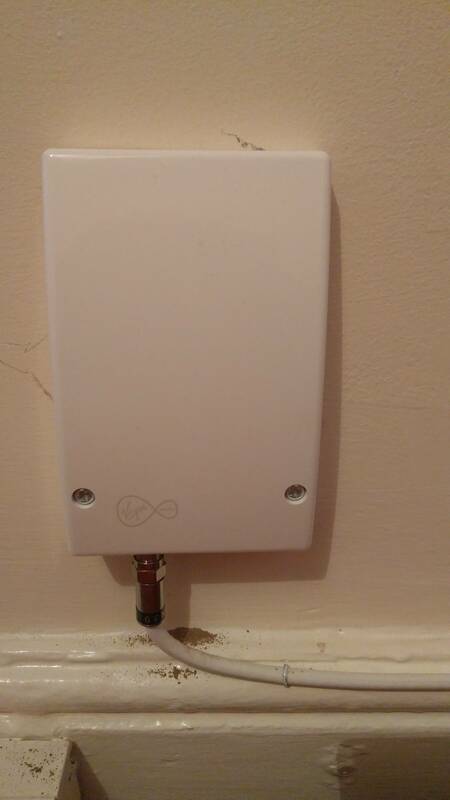 The won't be any FTTP or ONT there, so don't bother looking in that box outside, as all you'll see in there is an F type joint for the coax, and two gel filled crimps for the phone line if you have one. it could still be a Project Lightning install though as Project Lightning is a mixture of FTTP and HFC extends. Thanks everyone! It definitely didn't look like FTTP but I haven't had Virgin before so I didn't have much to compare it to. I didn't know that to be fair, I assumed Project Lightning == RFoG. The connection works just fine so I'm not going to complain, but I'm a tiny bit peeved since both sales chat and the engineer told me it was FTTP. The connection works just fine so I'm not going to complain, but I'm a tiny bit peeved since both sales chat and the engineer told me it was FTTP. Well they're wrong, but they're probably trying to get across its "better" (to some) than the Openreach twisted pair. 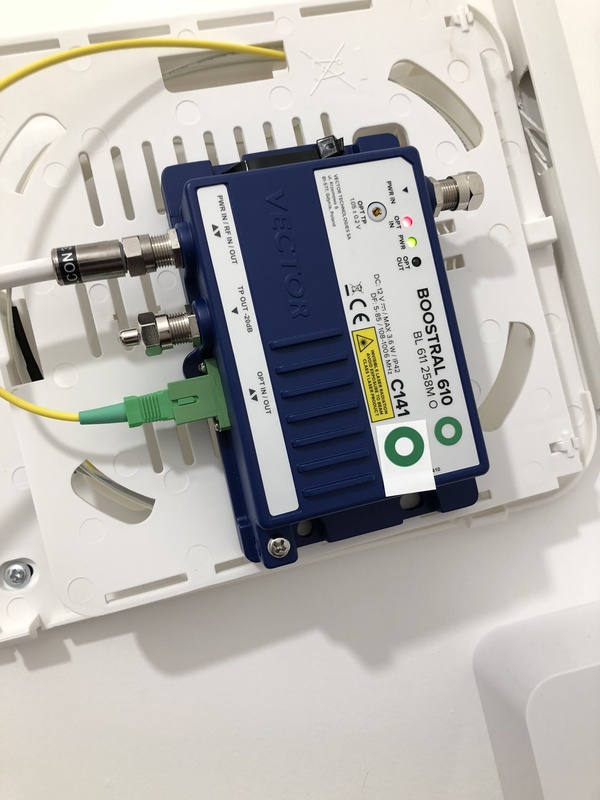 You have DOCSIS over coax and coax cable connected to the SH3. The RFoG is *still* DOCSIS with coax connected to the SH3, in fact its the same SH3. I wouldn't worry. The conversion from fibre to coax happening in your house rather than in a local road cabinet is not really going to make any difference. I documented my project lighting install as I had many issues, mostly stemming from fibre runs being incomplete or low quality by the contractors who were brought in. 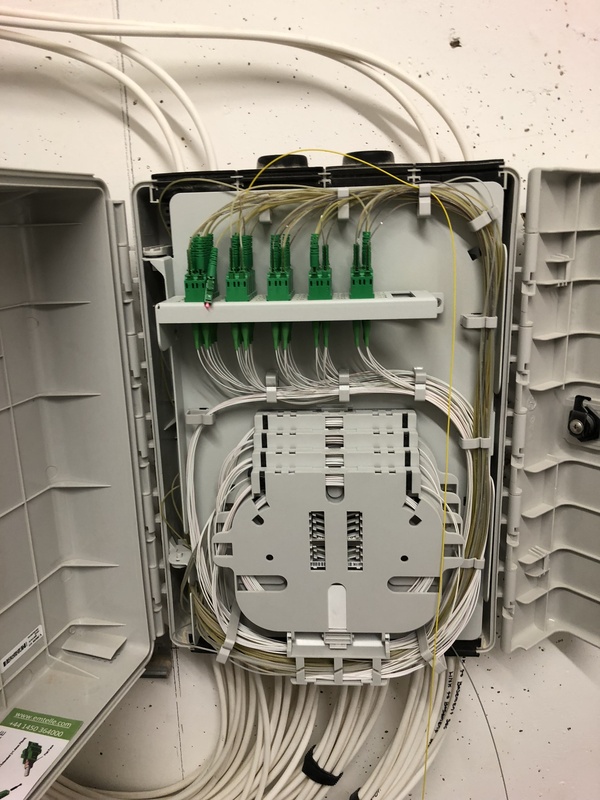 The local sales guy from VM was adamant that our install was "fibre optic". I did try to point out the fundamental difference between copper and glass, but he couldn't comprehend the difference. Even when challenged about project lightning (which we dont have here) he just said "its the same thing". Until mispractice like this is stopped (both Virgin and BT are guilty) there will always be this ambiguity. Fibre to a cabinet hundreds of meters away, then using 20 year old technology to the user isnt "fibre optic". True, but it makes no difference with Virgin Media if it's FTTP or not. They don't offer any better packages on FTTP and the coax is more than capable of providing the speeds on offer. What's to complain about unless they start offering higher packages for FTTP only within your contract period. Your 20 year old technology (coax) is more than capable of dealing with the higher speeds that are on the way from Virgin.